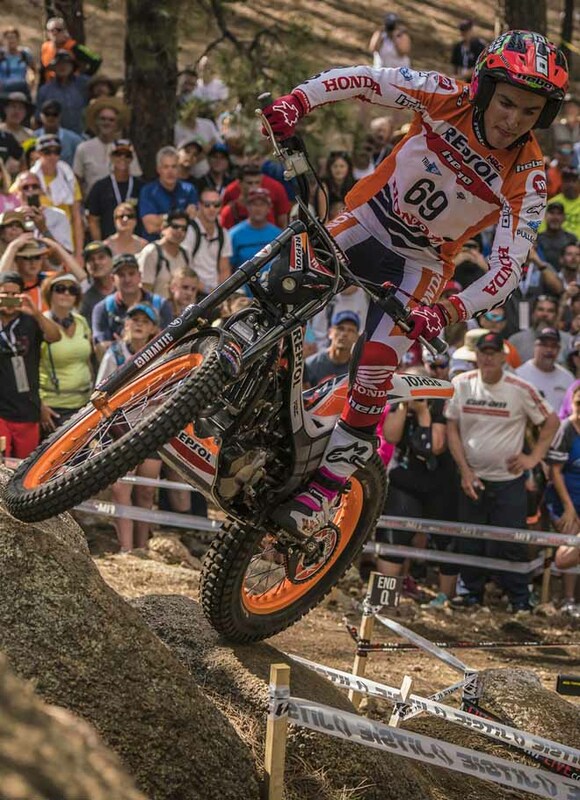 Toni Bou - Repsol Honda continued his inexorable march towards an incredible eleventh straight FIM Trial World Championship as Emma Bristow - Sherco kicked off her defence of the FIM Women's Trial World Championship in the best possible way at TrialGP USA at Kingman. Roared on by a large, vociferous and knowledgeable crowd, Spanish superstar Bou claimed an amazing ninety-fifth career victory on the opening day of round six of the 2017 series in Arizona to extend his championship lead to twenty-one points while Britain's Bristow took career win number fourteen as she bids to take her fourth consecutive TrialGP Women title. The high altitude and thirty-degree heat proved challenging for riders although the dry conditions meant the sections plotted on a tree-covered mountainside rode easier than expected and will be stiffened up tomorrow for all but the Trial2 Women class if there is no overnight rain. 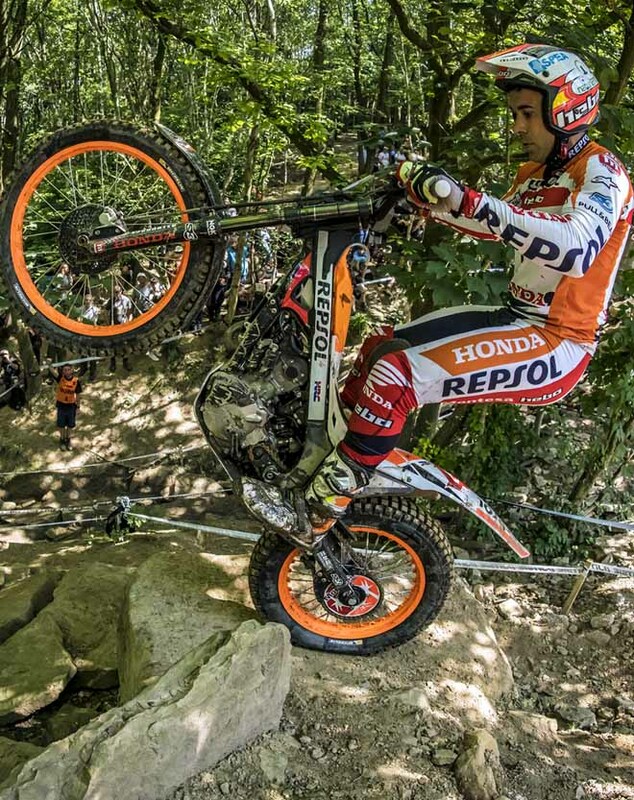 In an extremely low-scoring event pinpoint precision was crucial and it was Bou who made the least mistakes to run out a narrow winner from fellow Spaniard Adam Raga - TRS. With both riders recording clean second laps the Trial was won and lost on the opener with Bou's first lap of just two contrasting favourably with Raga's score of four. "Today was my day," says Bou. "This place and the fans are incredible and it is a very important victory and a good result for the championship because it was an easy event so any mistake could have been costly." Scores on section thirteen on the second lap were scrapped after a large rock moved, dramatically altering the severity of the hazard, but this had no effect at the front of the field where Spain's Jaime Busto - Repsol Honda converted yesterday's qualification win into his third career podium. After finishing the opening lap in fourth on eleven marks, one mark behind James Dabill - Gas Gas, Busto turned the tables on his British rival with his second lap score of two compared to Dabill's total of four. With his Japanese team-mate Takahisa Fujinami ending the day a disappointing eighth on a total of twenty-five the result means Busto is now tied with him behind Raga for third place in the championship. Both Busto and Dabill picked up a single penalty for time, but the pair were still comfortably clear of fifth-placed Jorge Casales - Beta from Spain who ended the day on twenty marks lost, one ahead of his compatriot Albert Cabestany - Sherco. There was then a gap of three marks to Spain's Jeroni Fajardo - Vertigo who was unable to recover from three maximums on the opening lap. 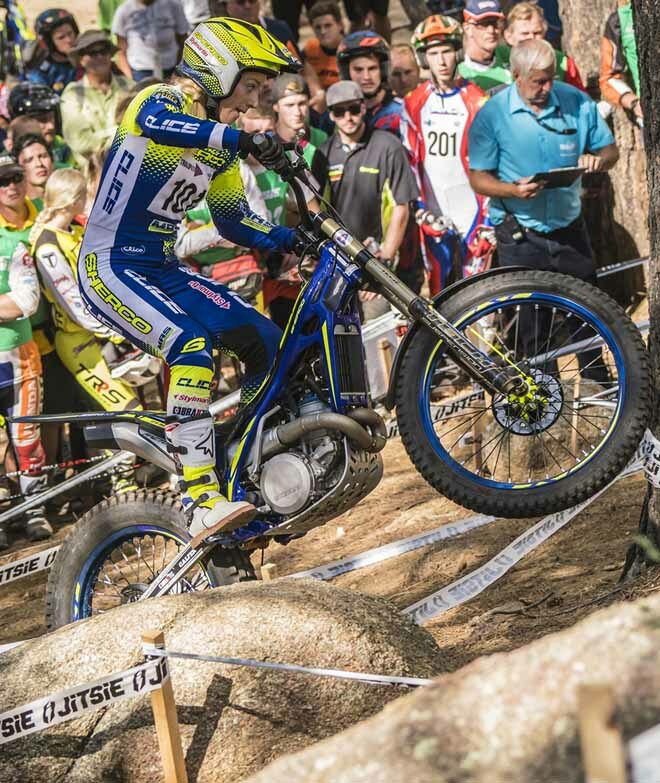 Spain's Miquel Gelabert - Sherco was ninth on twenty-seven before a seven-mark gap to Franz Kadlec - Gas Gas who rounded out the top ten. Bristow started the day as a clear favourite in TrialGP Women and she did not disappoint with her two laps of five and nine leaving her on a total half that of second-placed Theresa Bauml - Beta from Germany. "It feels good," says Bristow. "It's been a long wait this year for the first round but I know I've put in lots of hard work and today I just tried to relax a little bit. The first lap was good, the second was not so good because the rocks got polished and weren't so forgiving so you had to be very precise." "I'm looking forward to tomorrow and hopefully I can keep the momentum going." Spain's Berta Abellan - Beta was third on thirty-one after a super-strong second lap of just ten followed by compatriot Sandra Gomez - Gas Gas on thirty-three before a thirteen-mark gap to fifth-placed Ingveig Hakonsen - Beta from Norway. 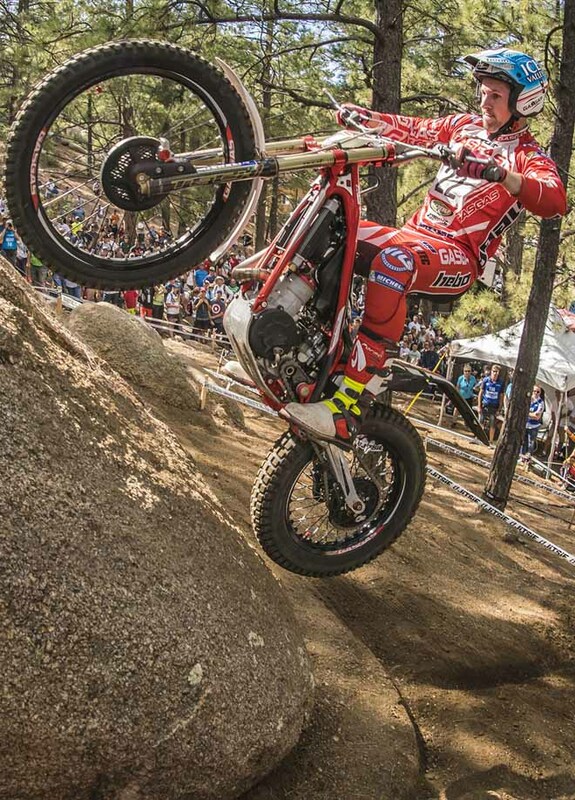 In the hotly-contested Trial2 class Britain's Iwan Roberts - Beta saw his championship lead slashed to twelve points as Spain's Gabriel Marcelli - Montesa shed just a single mark on each lap to finish three clear of Dan Peace - Gas Gas from Britain. Roberts, who was tied for the lead with Marcelli after the opening lap, came home third after a disastrous maximum on section ten on lap two that left him on a total of six. 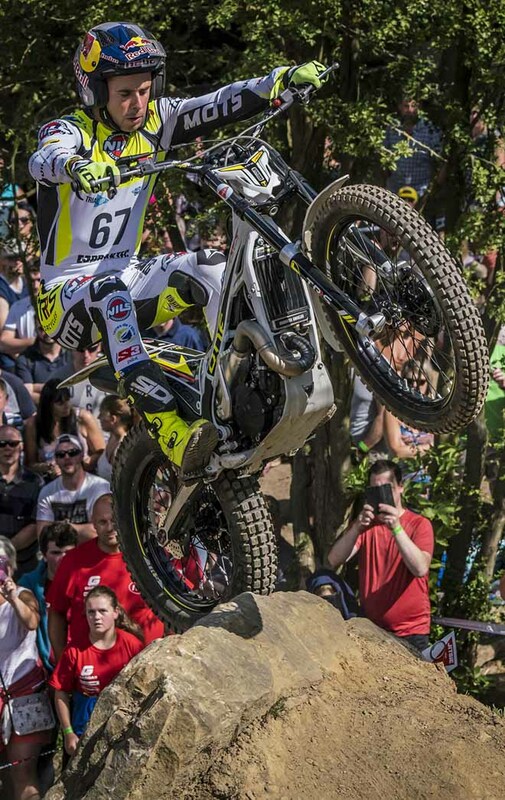 In the Trial2 Women class Spain's Neus Murcia - Beta converted her qualification win into a seven-mark victory, finishing the day on a total of twenty-three followed by Britain's comeback queen Nikita Smith - Gas Gas. Eighteen-year-old Maddie Hoover - Gas Gas gave the home fans something to cheer about with a fantastic third place a further five marks adrift. 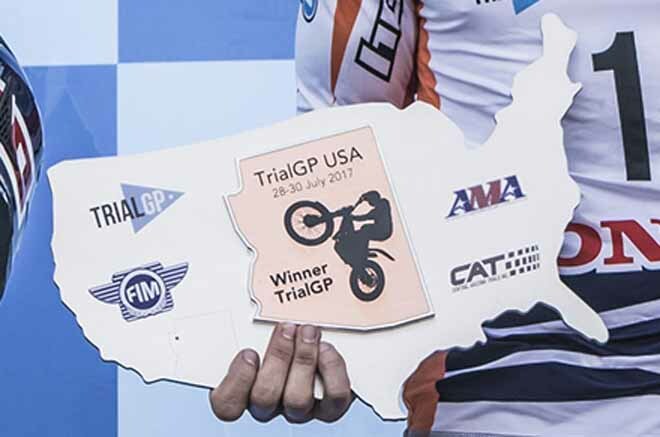 Tomorrow will see the second and closing day of the TrialGP USA. Bou attento a non sbagliare nel facile primo giorno del mondiale statunitense. Con due punti in totale, lascia dietro Raga, unico che riesce a reggere i suoi ritmi, ma è secondo con soli 2 punti in più. Terzo Busto. Grattarola 11°. Nella Trial2, un giro da campioni per entrambi gli italiani in gara. Petrella è bravo nel secondo (3 punti), Locca al primo (5). Non basta per rimanere nelle primissime posizioni. Settimo e decimo i loro piazzamenti, rispettivamente. Nella prima femminile successo della Bristow davanti alla Bauml con Sara Trentini decima.